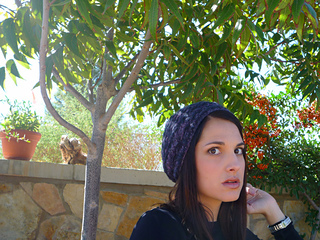 A slouchy beret featuring an allover (but easy) cable pattern. 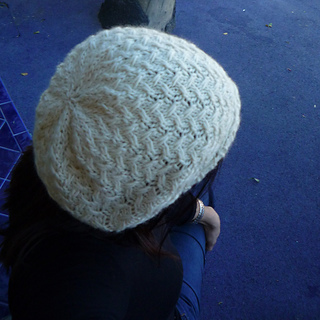 Francesca is worked from the bottom up and the increases and decreases are subtly worked into the cable pattern. 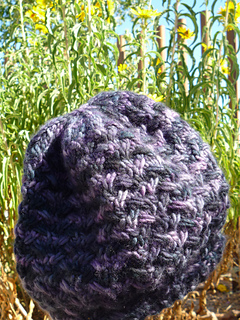 The texture of the cables makes this the ideal hat for any yarn (variegated, semi-solid or plain vanilla! 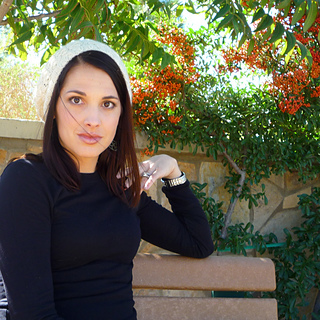 ).This hat is the perfect, cozy addition to your fall and winter wardrobes! 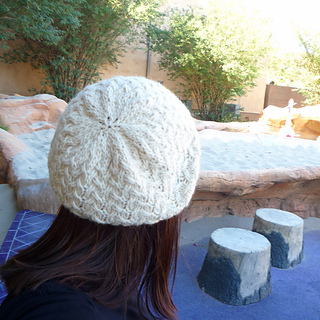 This pattern is recommended for an intermediate knitter. Beginner cable knitters: This is a great first cable project! Long tail cast-on, knitting in the round, knit & purl stitch, increasing, decreasing, a tiny amount of the magic loop method (which could be entirely avoided with the use of DPN’s), and cabling (nothing too complicated). 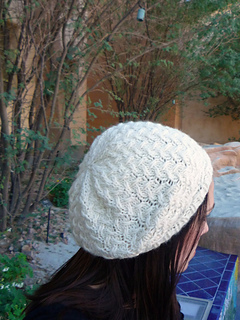 I’ve entered this pattern into Malabrigo Junkies October Stockpile design contest. If you like the pattern, please go here to vote for it -thanks!